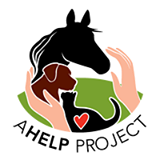 The AHELP Project seeks to support the family, which includes the patient or animal and their closest caregivers. When the goal shifts from cure to comfort, quality of life may even increase the bittersweet yet beautiful time preceding their animal friend's transition. Family members can prepare for their loss and proceed with a peaceful farewell. We walk beside guardians like you in support of your animal friend's veterinary care plan. We offer education and caregiver-to-caregiver support, helping you develop a plan prioritizing quality of life. We offer options for home-based care and problem solving that might include adding trusted members of our Professional Network to your team of supporters. Comfort for your entire family is achievable with AHELPers working on your team of veterinary, allied animal services and family services professionals! Please review Animal Caregiver Support Program to learn more about our services. We align with palliative and hospice care philosophies, supporting the veterinary care plan and facilitating a graceful, dignified decline and peaceful farewell. Your family becomes empowered to proceed according to your plans and back-up plans and your healing is enhanced. AHELP Project is a 501(c)(3) non-profit organization.